(Note: therein lies the root of our whole recycling problem … think of all the packaging that goes with those products … plastic wrapping, meat trays, polystyrene and plastic bottles just for starters). Corporations have to sell stuff … sell, sell, sell, … selling on steroids with no thought of the consequences except their bank balance. This is source of the rot that’s consuming humanity. Giant multinational corporations have become society’s most dominant institution. As a student of social policy in the early 1980s I well recall being told there would come a day when corporations would control governments … difficult at the time to conceive of … nevertheless this is exactly what has happened. It was difficult to conceive because it was an era when unemployment was low, benefits for the few who required them were at a livable level and education was relatively free. We were a welfare state. That has changed for we were sharply reminded we were a capitalist welfare state. The benefit system (social services) is merely a safety net that supplies capitalism with a human face, and that human face has been rapidly disappearing. When the corporate goal of maximised profits runs rampant, guess who is first to bear the brunt of its fickle fluctuations and inequities? Suddenly those on the lowest rung are vilified as lazy and unproductive and in need of some belt tightening, whilst those at the top get off with all kinds of fraud and mismanagement with nary a tap to their wrists. 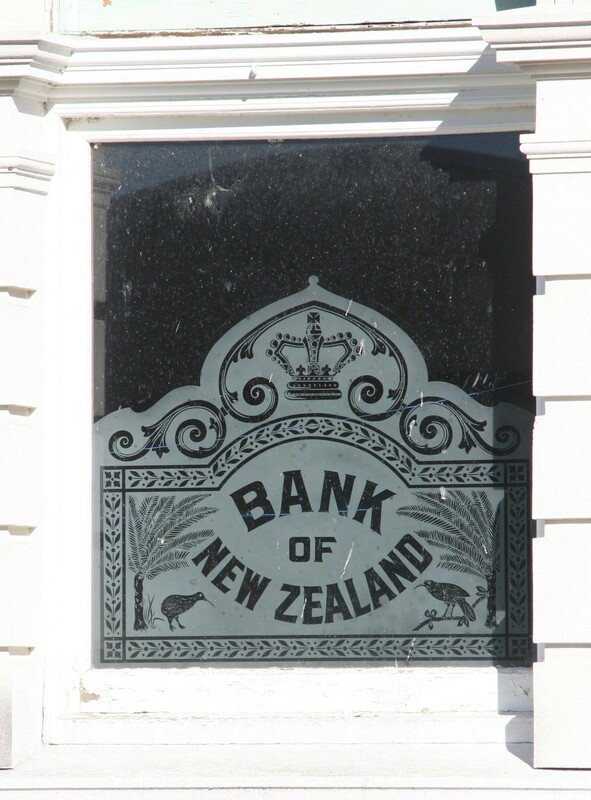 Recently it’s been reported that only half of NZ’s most wealthy are paying top income tax rates. Perpetrators of greed, the highest priority of corporations is to maximise profits, indeed ‘corporate social responsibility is … illegal’ says Canadian law professor Joel Bakan in the documentary entitled ‘The Corporation’. They must maximise returns for shareholders and are literally compelled to subordinate all considerations to profit. That is, they must make all the money they possibly can without considering any negative side effects – at all – period. Corporations enjoy what is termed ‘limited liability’. The corporation is a separate entity from its shareholders; if it fails, the corporation not the shareholders are responsible and liable. This is a clever means of avoiding responsibility toward those who fall victim to the corporation’s workings. By it we have seen many innocent financial investors destroyed while managers got off scot free. Most of us will know somebody who got burnt with the collapse of many financial institutions during 2008. A friend of mine who sold her house in the last housing boom and invested her money for her retirement in one of these companies that went bust, now survives on a minimum wage and is ill to boot. Needless to say the manager still retained his house and car. Very unjust. The fact is NZ is a corporation and is registered on the Securities and Exchange Commission’s website, belonging to the British Crown. Our government departments are also registered there as corporations. This explains our current emphasis on profits and not people. Nestle is very good at this, good at the spin and good at ripping off people’s right to clean, free water (obtaining it for almost free themselves and selling it at obscene profit). A simple example of the effect corporations can have upon everyday life can be observed in the positioning of the signage of the fast food giant, McDonalds. It is a few kilometers short of Mangaweka, the one small town before Taihape in the Rangitikei. Mangaweka was once, like many others throughout our country, a thriving little rural town replete with local food shops and a grocery store. Now, with the main road diverted past their main street the through traffic has of course decreased dramatically. 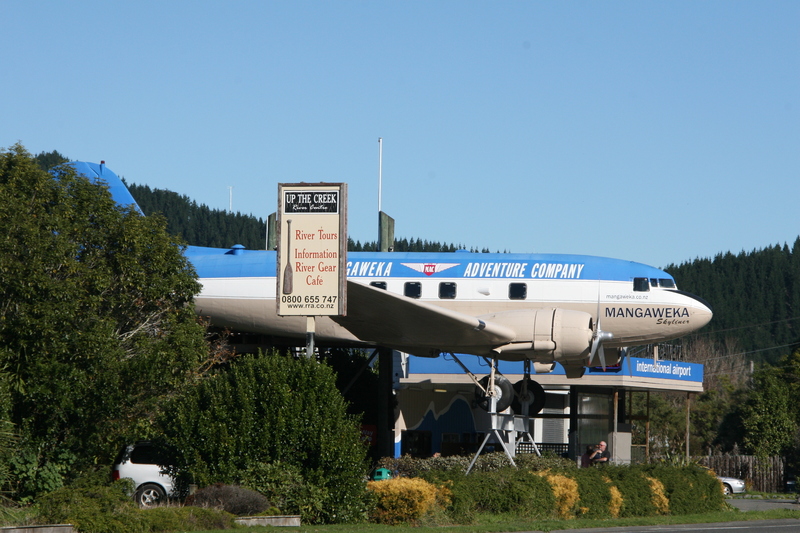 A local business has cleverly converted an aircraft into a cafe and placed it on the new road to attract business. Nevertheless the placing of the McDonalds’ sign is to discourage folks from stopping anywhere in Mangaweka. The end result of course is, the small town food shops can’t compete. The corporation is too big and powerful. Their budget is almost bottomless. Their argument, and that of many others would be, they provide jobs. Well yes they do, but the option of self sufficiency and autonomy has been greatly reduced if not extinguished completely. Small business can’t survive without customers. Not only that, the offshore corporation that is here to make a profit for its shareholders, will return the profits offshore. We also know that at any point the business fails to make a profit they will pack up shop and move elsewhere. Remember they have no loyalty to anybody besides their shareholders. I personally would prefer to buy local produce any day. In the long run they will at least be more likely to consider their customers and by strengthening and supporting each other we help build local communities. This same scenario of signage positioning happens frequently. I’ve noticed it also in Bulls where right in the township itself a sign just as you are entering the built up area gives the same message. I’ve watched takeaways in that town diminish gradually as McDonalds took over. Very sad in my opinion. What can we do? Again, buy local. Local produce will be fresher and have a reduced carbon footprint. I refuse to buy imported fruit, particularly oranges. I noted when living in the Eastern Bay of Plenty, local orange orchardists said that to pick and sell their oranges was simply not cost effective, and yet all these beautiful, local, sweet oranges were falling and rotting on the ground. In the meanwhile our insane trade agreements ensured we got to eat Californian oranges. Now at what carbon cost was that? Cost effective? This future shrinkage of rural communities is either by design … or their nurture is not being encouraged. Their initial decline began in the late 1980s with economic slash and burn (aka restructuring) decisions made by the then Finance Minister, Roger Douglas. A recent newspaper article illustrates such economic decisions where economist Shamubeel Eaqub advises people will have to give up their dying rural communities in order to divert shrinking resources to urban centers where they will (in his clearly corporately driven opinion) be better spent. (The original article in which he said small towns will have to go is now gone from the internet). This is clearly an economic choice made by people who did not ask the wishes of rural people. An opinion based purely on economics with no consideration whatever for people and their links with their lands. He cites the example of Northland and its ‘poverty trap, the lack of opportunity that’s really coming through’ … yet fails to mention that big business has no interest in addressing this poverty trap. Witness the recent example we have there of the great heist of Northland’s rich resource of Kauri that is being extracted from the wetlands and sold off wholesale to China. The partner of Judith Collins who owns one of these corporations involved, Oravida, is allegedly stockpiling this resource (profits again) … when it could be retained and turned into exports by local artisans. Now that would be more cost effective for the people, and the true owners of the resource … local Maori. The small-communities-dying rhetoric reflects the UN’s plans for Agenda 21 (read Behind the Green Mask, or watch the video by Rosa Koire) where they intend to have us all dwelling in cities and riding bicycles. This is all reflected in the catch words ‘smart’ and ‘sustainable’ that we hear regularly. Remember, we are registered as a corporation in Washington DC, along with the Accident Compensation Corporation, Auckland Council, Airways Corporation of New Zealand limited, Canterbury Earthquake Recovery Authority, Children’s Commissioner, Commerce Commission, Genesis Power Ltd., The Treasury, NZ Police and so on. To understand how corporations work and the enormous sums of money they spend on advertising to get you to patronize them, watch the doco entitled ‘The Corporation’. You can watch it here, on Youtube and on The Corporation website. The following movie by Temujin Doran gives an excellent overview that really exposes the direction corporations have and are taking us. ‘Obey’: Film Based on Chris Hedges’ ‘Death of the Liberal Class’ by Temujin Doran. See our Corporations sub pages at the menu for more info & links, &/or search categories (at left of any page) for further related articles. "Today's business corporation is an artificial creation, shielding owners and managers while preserving corporate privilege and existence. Artificial or not, corporations have won more rights under law than people have - rights which government has protected with armed force"